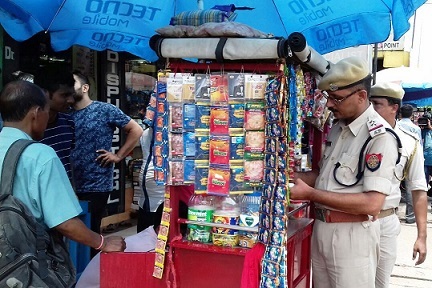 The Consumers’ Legal Protection Forum (CLPF) wants a mechanism of tobacco vendor licensing to be developed in Assam by municipalities to control tobacco consumption in the State. Consumer voice, Delhi and Consumers’ Legal Protection Forum, Assam working on tobacco control issues in the Assam on Saturday organised a State level workshop on tobacco control at Sahityarathi Lakhminath Bezbaruah Bhawan here. The purpose of the event was sensitisation of stakeholders on tobacco control measures, especially to protect young generation from tobacco menace. During the workshop, Consumers’ Legal Protection Forum secretary, advocate Ajoy Hazarika suggested that a mechanism of tobacco vendor licensing should be developed in Assam by municipalities to control tobacco consumption in the State. He also shared key findings of a recent study conducted about tobacco vendors in Dibrugarh, Jorhat and Guwahati. He said the density of tobacco vendors is too high in both commercial and residential areas and there is no record available of tobacco vendors. “We found 324 tobacco vendors in 6 wards/areas of 3 cities,” he said. Hazarika expressed concern that Assam has shown a significant rise of 9 pc in overall tobacco consumption from 39.3 per cent during the last survey in 2009-10 to 48.2 per cent now compared to 6 pc decline in national average as per Global Adult Tobacco Survey report 2016-17. “Tobacco vendors are violating COTPA, 2003. Mandatory warning display board was not found at 67% tobacco points of sale. Tobacco products are displayed openly, amounting to advertisements at every point of sale,” added Hazarika. Tobacco advertisements were found at 50% point of sale. Sale of loose cigarettes is rampant (around 33 %), which frustrate purpose of pictorial warning at package. 87 % Tobacco vendors were found selling candy, chips, etc., the products meant for and to attract children/youth to tobacco shops. The Ministry of Health and Family Welfare, Government of India, vide letter dated September 21, 2017 and the Ministry of Housing and Urban Poverty Alleviation on September 28, 2018 issued advisories to all Principal Secretary/Secretary Urban Development/ Local Self Government) of all States/UTs/ Urban Local Bodies for ensuring licensing machnisom for tobacco vendors with restriction on sale of candy, chips etc. There was a panel discussion on the needs and strategies for protecting young generation from the menace of tobacco where Dr. Simanta Madhab Baruah, Professor, Assam Medical College Hospital; Dr. Riktom Borgohain, District Nodal Officer, Tobacco Control Cell, Dibrugarh and Dr. Udayan Baruah, Joint Director of Health, Services, Dibrugarh gave their valuable suggestions on the issue. Mukul Chandra Deka, vice-chairman, Dibrugarh Municipal Board speaking on the role of municipal bodies in tobacco control. The workshop was attended by more than 50 health experts, tobacco control officials, youth icons, officials from Municipal Corporation, students leaders, media, students, resident welfare associations, CSOs and activists working on tobacco control, consumer and child right issues.